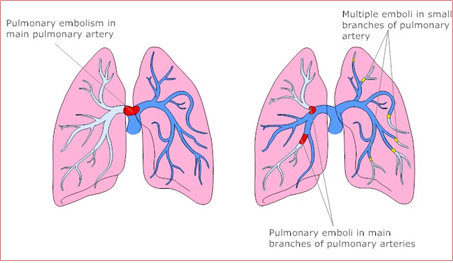 What are signs and symptoms of pulmonary embolism? What are the risk factors of pulmonary embolism? 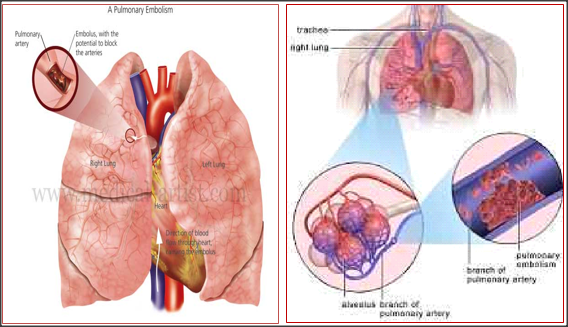 What are treatments of pulmonary embolism? 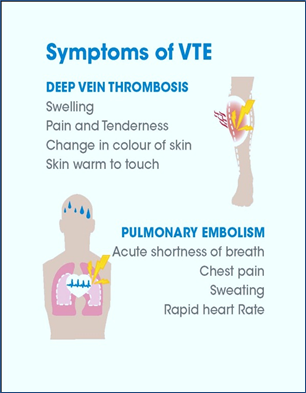 Because pulmonary embolism almost always occurs in conjunction with deep vein thrombosis, some doctors refer to the two conditions together as venous thromboembolism (VTE) although anyone can develop deep vein thrombosis and pulmonary embolism, factors such as immobility; cancer and surgery increase your risk. The classic presentation of pulmonary embolism is the abrupt onset of pleuritic chest pain, shortness of breath, and hypoxia. However, most patients with pulmonary embolism have no obvious symptoms at presentation. Circulatory instability because of decreased blood flow through the lungs and into the left side of the heart. About 15% of all cases of sudden death are attributable to PE. Immobilization after surgery, injury, pregnancy , obesity and cancer. Surgery, catheterizations causing direct injury. There always needs to be a high a level of suspicion that a pulmonary embolus may be the cause of chest pain or shortness of breath. The health care professional will take a history of the chest pain, including its characteristics, its onset, and any associated symptoms that may direct the diagnosis to pulmonary embolism. It may include asking about risk factors for deep vein thrombosis. Coughing up blood sputum may be a sign of pulmonary embolism. Physical examination will concentrate initially on the heart and lungs, since chest pain and shortness of breath may also be the presenting complaints for heart attack, pneumonia, pneumothorax (collapsed lung), and dissection of an aortic aneurysm, among others. 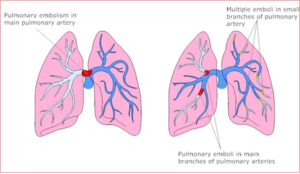 With pulmonary embolism, the chest examination is often normal, but if there is some associated inflammation on the surface of the lung (the pleura), a rub may be heard (pleura inflammation may cause friction which can be heard with a stethoscope). The surfaces of the lung and the inside of the chest wall are covered by a membrane (the pleura) that is full of nerve endings. When the pleura becomes inflamed, as can occur in pulmonary embolus, a sharp pain can result that is worsened by breathing, so-called pleurisy or pleuritic chest pain. The chest X-ray is often normal in pulmonary embolism. The EKG may be usually normal, but may demonstrate a rapid heart rate, a sinus tachycardia (heart rate > 100 bpm). If there is significant blockage in a pulmonary artery, it acts like a dam and it is harder for the right side of the heart to push blood past the obstructing clot or clots. The EKG can demonstrate a right heart strain. Since the cost of missing the diagnosis of pulmonary embolus can be death, the health care professional has to consider the diagnosis when caring for a patient complaining of chest pain or shortness of breath. In the past, the gold standard for the diagnosis of pulmonary embolus is a pulmonary angiogram in which a catheter is threaded into the pulmonary arteries, usually from veins in the leg. Dye is injected and a clot or clots can be identified on imaging studies. This is considered an invasive test and is rarely performed. If the healthcare provider’s suspicion for pulmonary embolism is low, a d-Dimer blood test can be used. 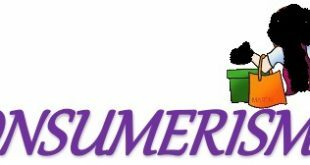 The d-Dimer blood test measures one of the breakdown products of a blood clot. D-dimer is not helpful if the potential risk for a blood clot is high. 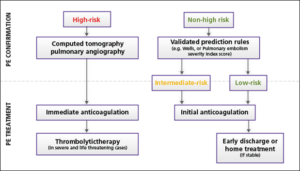 If there is greater suspicion, then computerized tomography (CT scan) of the chest with angiography can be done. Contrast is injected into an intravenous line in the arm while the CT is being taken, and the pulmonary arteries can be visualized. It is very important that the contrast used during the CT angiogram be timed appropriately so that the bolus of dye is not diluted too much by blood as it travels through the lungs. There are risks with this test since some patients are allergic to the contrast, and the contrast can be harsh on kidney function especially if the patient’s kidney function (as measured by blood tests) is marginal. It may be wise to limit the patient’s exposure to radiation, especially in pregnant patients. However, since pulmonary embolus can be fatal, even in pregnancy this test can be performed, preferably after the first trimester. There are some limitations of the test, especially if a pulmonary embolism involves the smaller arteries in the lung. However similar problems are seen with the more invasive pulmonary angiogram. As CT scan has become more and more sophisticated, not identifying significant emboli is unusual. Ventilation-perfusion scans (VQ scans) use labeled chemicals to identify inhaled air into the lungs and match it with blood flow in the arteries. If a mismatch occurs, meaning that there is lung tissue that has good air entry but no blood flow, it may be indicative of a pulmonary embolus. High probability of having a pulmonary embolism. 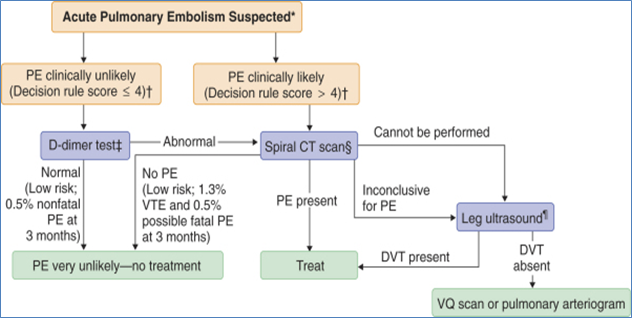 There are limitations to the test, since there may be a 5%-10% risk that a pulmonary embolism exists even with a low probability V/Q result. Ultrasound of the legs, also known as venous Doppler studies, may be used to look for blood clots in the legs of a patient suspected of having a pulmonary embolus. 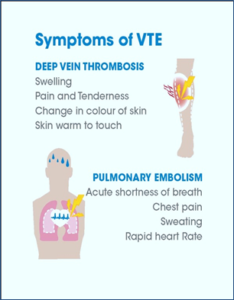 If a deep vein thrombosis exists, it can be inferred that chest pain and shortness of breath may be due to a pulmonary embolism. 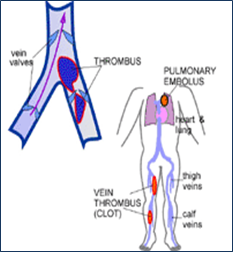 The treatment for deep vein thrombosis and pulmonary embolus is generally the same. If non-invasive tests are negative and the healthcare provider still has significant concerns, then the healthcare provider and the patient need to discuss the benefits and risks of treatment versus invasive testing like angiography. The best treatment for a pulmonary embolus is prevention. Minimizing the risk of deep vein thrombosis is key in preventing a potentially fatal illness. The initial decision is whether the patient requires hospitalization. Recent studies suggest that those patients with a small pulmonary embolus, who are hemodynamically stable (normal vital signs) and who can be compliant with treatment, may be treated at home with close outpatient care. Those who are unstable need to be admitted to the hospital. The first step in stable patients with pulmonary embolism is anticoagulation. This is a two-step process. Warfarin (Coumadin) is the drug of choice for anti-coagulation. It is taken by mouth beginning immediately upon the diagnosis of pulmonary embolism, but may take up to week for the blood to be appropriately thinned or ant coagulated. Pentasaccharide (Fondaparinux, Arixtra) is administered at the same time. It thins the blood via a different mechanism. Enoxaparin or Fondaparinux injections can be administered as an outpatient. For those patients who have contraindications to the use of enoxaparin (Lovenox) (for example, kidney failure does not allow the drug to be metabolized), intravenous heparin can be used as the first step. This requires admission to the hospital and careful patient monitoring with blood tests. Anticoagulation is usually suggested for a minimum of six months, but each patient will have their treatment regimen individualized. The blood test utilized to monitor warfarin therapy is referred to as the INR or international normalized ratio. A test of blood thinness. This value is divided by the lab standard normal value. For patients with a pulmonary embolism, the warfarin dosing will be titrated so that the INR value will be 2.0 – 3.0, basically the blood needs to be 2 to 3 times thinner than the normal value. It is very helpful for the patient to participate in their health management by keeping a diary of their warfarin dose, the date of testing, and their INR values. Pulmonary embolism can be fatal, especially if involves a large amount of clot. When the patient is unconscious, has low or no blood pressure or are not breathing, clot busting or thrombolytic therapy using medications like TPA (tissue plasminogen activator) may be considered. It is also often considered when signs of right heart strain are present. In certain centers, a special procedure can be performed where is catheter is placed in the right side of the heart and the clot is essentially vacuumed out. 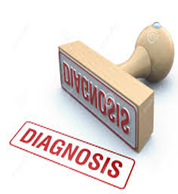 In those patients where the diagnosis is made, the mortality rate is less than 20% when considering all patients. Usually, however, the mortality risk is much less in most patients. The higher incidence of death occurs in patients that are older, have other underlying illnesses, or have a delay in diagnosis. Racial differences may also exist, but probably are due more to access to quality care than a specific genetic difference. In the hospital setting, the staff works hard to minimize the potential for clot formation in immobilized patients. Compression stockings are routinely used. 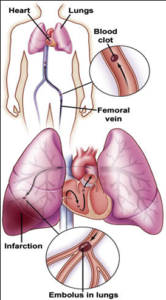 Surgery patients are out of bed walking (ambulatory) earlier and low dose heparin or enoxaparin is being used for deep vein thrombosis prophylaxis (measures taken to prevent deep vein thrombosis). The severity of the symptoms partly depends on the size, number, and location of the emboli. Patients often appear short of breath, diaphoretic, weak, fearful, and anxious. They may be febrile, or their skin may be cold and clammy. Those in critical condition may develop severe chest pain, syncope, and chest splinting and may cough up bloody sputum. Not all patients become hypoxemic because the increased respiratory rate increases their minute volume and thereby maintains gas exchange. However, some patients have signs of hypoxemia, such as confusion, agitation, and central cyanosis. When you auscultate the patient’s chest, you may note decreased breath sounds, wheezing, crackles, or a transient pleural friction rub. You may also note tachycardia, a third heart sound, or a loud pulmonic component of the second heart sound. You may note a warm, tender area in the leg. Ongoing monitoring during an acute episode of PE is essential for patient recovery. Monitor the patient’s vital signs, including temperature, pulse, blood pressure, and respiratory rate, every hour or as needed. Observe the patient continuously for signs of right ventricular failure as evidenced by neck vein distension, rales, peripheral edema, enlarged liver, dyspnea, increased weight, and increased heart rate. Monitor the patient for signs of shock, such as severe hypotension, mottling, cyanosis, cold extremities, and weak or absent peripheral pulses. Depending on the severity of symptoms, patients and their families usually display some degree of anxiety. Because PE is life-threatening, their fears are justified and appropriate. Assess the patient’s and family’s ability to cope. Impaired gas exchange related to impaired pulmonary blood flow and alveolar collapse. Massive PE is a medical emergency. Make sure that the patient’s airway, breathing, and circulation are maintained. Administer oxygen immediately to support gas exchange and prepare for the possibility of intubation and mechanical ventilation. Obtain intravenous (IV) access for administration of fluids and pharmacologic agents. 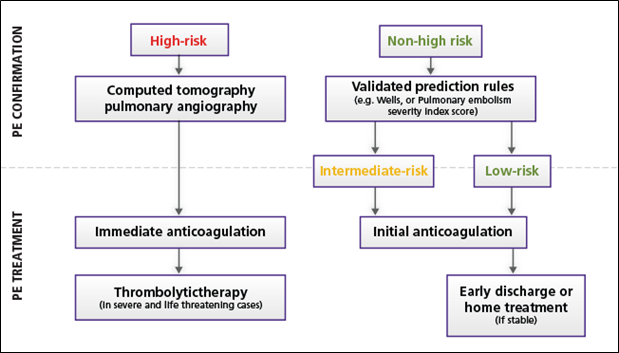 Before administration of thrombolytic agents, draw a coagulation profile and complete blood count to obtain a baseline. 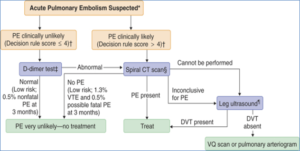 The most important independent measure before PE formation is prevention of thrombus formation. To prevent PE in high-risk patients, encourage early chair rest and ambulation as the patient’s condition allows. Even patients who are intubated and mechanically ventilated with multiple catheters can be gotten out of bed without physiological risk for periods of chair rest. Provide active and passive range-of-motion at least every 8 hours for all patients on bed rest. Teach the family and significant others of an immobile patient how to perform passive range-of-motion exercises. If the patient is not on fluid restriction, encourage drinking at least 2 L of fluids a day to decrease blood viscosity. Use compression boots for patients who are on bed rest to increase venous return. Teach the patient and family methods of prevention. Because of the association of DVT and PE, instruct patients to avoid factors that cause venous stasis. Explain that patients should avoid prolonged sitting, crossing of their legs, placing pillows beneath the popliteal fossae, and wearing tight-fitting clothing such as girdles. Encourage hospitalized patients to ambulate as soon as possible after surgery and to wear antiembolic hose or pneumatic compression boots while they are bedridden. Encourage patients to drink at least 2 L of fluid a day unless they are on fluid restriction. Suggest that obese patients limit calorie intake to reduce their weight. Discuss all medications with the patient and family. Patients are usually discharged on warfarin. Remind the patient to keep appointments with the healthcare professional. Note that the patient needs periodic blood specimens to monitor drug levels. Explain that warfarin is continued unless the patient consults with the healthcare professional. Explain that the patient cannot take any over-the-counter drug preparations that contain salicylates without consulting the healthcare provider. Encourage the patient to avoid foods that are rich in vitamin K, such as dark green vegetables, which counteract the effects of warfarin. Encourage the patient to wear a medical identification bracelet that shows she or he is on anticoagulant therapy. Describe the complications of anticoagulant therapy. Instruct the patient to avoid activities that might predispose to injury or bleeding. Boyles S. Thrombolysis aids PE survival, but ups bleeding risk. MedPage Today [serial online]. June 17, 2014; Updated June 18, 2014; Accessed June 22, 2014. Available at http://www.medpagetoday.com/Cardiology/VenousThrombosis/46369. Amesquita M, Cocchi MN, Donnino MW. Pulmonary Embolism Presenting as Flank Pain: A Case Series. J Emerg Med. Mar 26 2009;[Medline]. Carrascosa MF, Batán AM, Novo MF. Delirium and pulmonary embolism in the elderly. Mayo Clin Proc. 2009; 84(1):91-2. [Medline]. [Full Text]. Tapson VF. Acute pulmonary embolism. N Engl J Med. Mar 6 2008; 358(10):1037-52. [Medline]. [Best Evidence] Qaseem A, Snow V, Barry P, Hornbake ER, Rodnick JE, Tobolic T, et al. Current diagnosis of venous thromboembolism in primary care: a clinical practice guideline from the American Academy of Family Physicians and the American College of Physicians. Ann Fam Med. Jan-Feb 2007; 5(1):57-62.